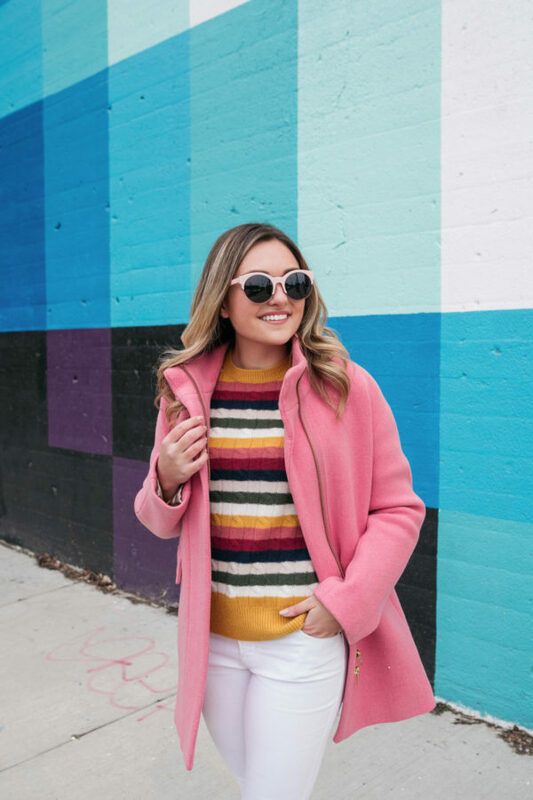 Taking a little inspiration from these two outfits a few years back, I wanted to re-wear this colorful cashmere sweater with a little bit of a lighter look! 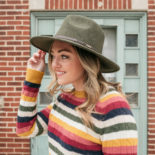 In case you missed it, I styled this sweater on the blog two weeks ago with bronze booties and a green wool hat. At the end of this post, I’d love for you to leave your vote on which outfit you like best! 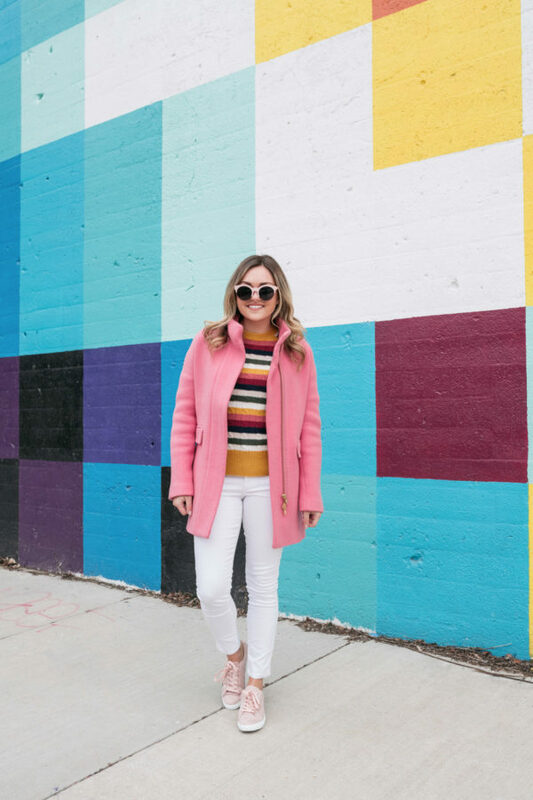 I’ve had this J.Crew Cocoon Coat for years and years and while this is a style they bring back year after year, this color is always hard to track down. I found a similar style on Amazon, though, and it’s also on sale! So be sure to check that out if you’re smitten. I love how this coat brightens up even the dreariest of days! It never ceases to put a smile on my face when I take it out of the closet. You can see some other ways I’ve styled this coat on the blog here, here, here, here, and here! I mentioned it in this outfit post last week, but I’ve really been gravitating towards lots of white denim this winter. 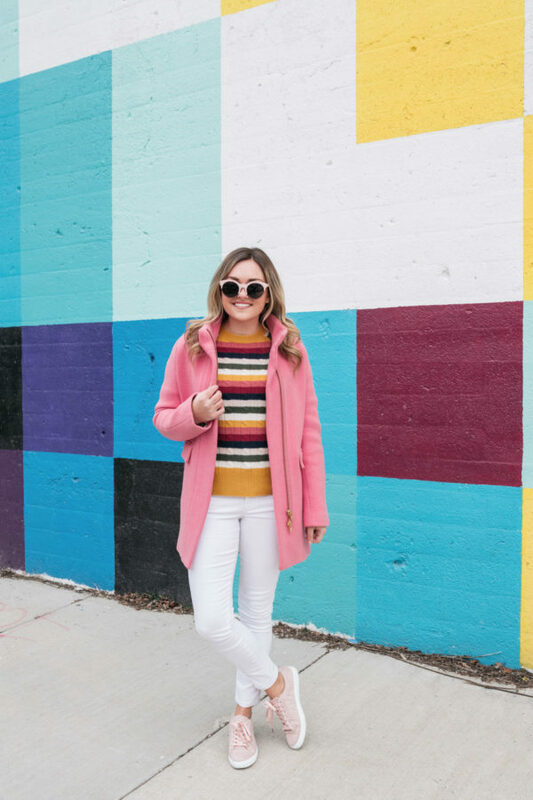 Since this sweater has a few white stripes, I paired it with my trusty white jeans and then played up the pink with my coat, sunglasses, and sneakers. Which outfit do you like better?! This look with the bright coat is wonderful! Both look really nice but I’m leaning towards the outfit with the pink cocoon coat. :))) I’m a sucker for blush pink. 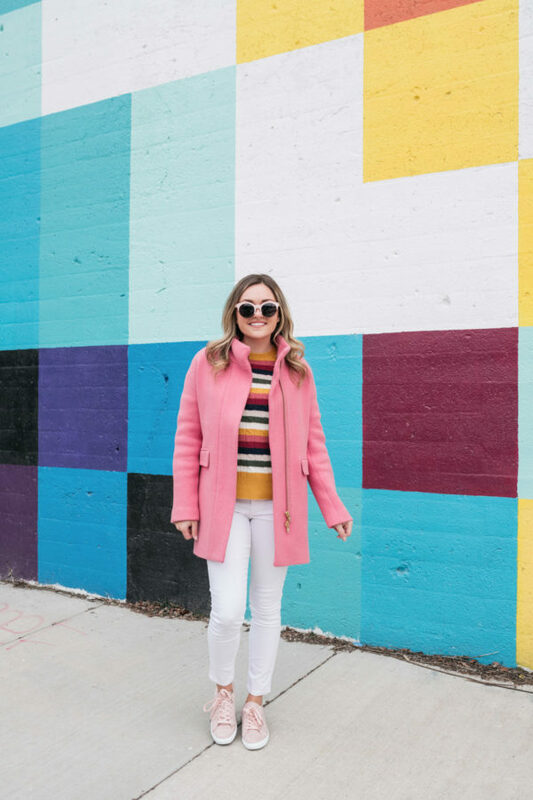 Love the bright look and the pink coat! 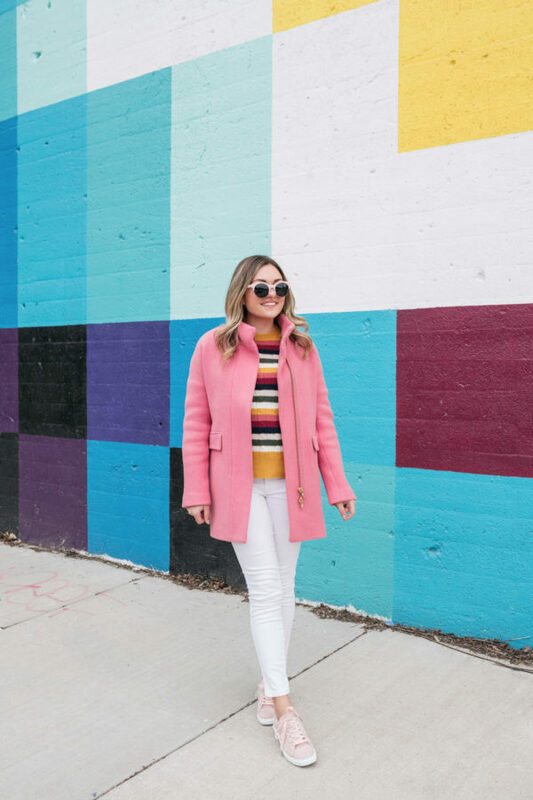 I almost always lean towards neutral colors (80% of my closet is black or gray haha) but this is inspiring me to add a pop of color to my outfit today! Compared to the other outfit, I prefer this one, it’s brighter and the pink coat is gorgeous and makes all the difference. But I really like the hat on the other one too.